How many books can a self-publishing writer sell in the first year? That's what I asked 17 self-publishing authors with books for sale at the 2010 Sunshine Coast Writers' Festival. 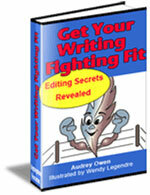 Many writers dream of self-publishing to great acclaim and massive sales. Although this survey deals with a relatively small number of writers, the stories I've heard and read about other self-publishers over time convinces me that a larger survey would reveal similar numbers. Writers tell me they expect to sell thousands of book. At the least, they expect to sell hundreds. After all, as writers, we pour countless hours into research and writing. We pay editors, designers, and printers. Some of us pay for marketing. For those of us who self-publish because we want a larger slice of the economic pie, sales of only 100 books is downright depressing. And according to my survey, 41% of the self-publishing writers made sales of 100 or fewer books in the first year. Not everyone has money as the main goal. Some simply want to get their message "out there." These folk may also be discouraged by the low sales numbers. There two responses to the statistics for first year sales of self-publishing writers. Some folk will simply pack their files away, maybe even shred hard copies. Some of these people will be right to do so. Not every book has a wide audience. And if a person has badly miscalculated the possibilities, it's better to stop before investing more time and money in something that will never bear fruit. Others, however, will dig deep and use the information here to give themselves a better outcome. If you are one of those who want to continue, don't run away from the numbers and pretend they don't exist. Face them head on. Decide what you can do to make your self-publishing future brighter. Before you throw away everything you have done, allow yourself to consider other ways to use the material you have. Can you create a course, a Web site, or a report you can sell to someone else? If you go down a slightly different path, can you increase your market? Finding the new path can take time, so allow yourself to put your word aside for a while to let your subconscious help you sort out options. Know going in what you are prepared to spend and what you are likely to get back. When doing this, have the mindset of a contractor pricing a house. Build in a margin of error. Make it a big one -- 25% would be a good place to start. This will shield you from disaster. Decide how you will finance the upfront costs. Some suppliers will allow you to pay over time. How much time? Budget your own time, too. How long do you think it will take you to finish writing? How much time will you need for editing and rewriting? At what point will you want to hire a designer? When will a printer need a downpayment? When will you create your marketing materials? Each item on the list needs a time-frame and a cost so you will not be caught short. Of course there will be surprises along the way. But your margin will help you out. Find out how many similar books are sold each year. (If there are no similar books to yours, you will have a very hard time convincing anyone other than close friends and family to buy yours, so it's important to find something similar to what you are doing.) Ask book stores and libraries. Check out online sellers like Amazon or Barnes and Noble. When you know how big the pond is, decide how much of it you can realistically swim in. Even before you have books in your hand, at least plan how you will market your book. Will you do this alone or hire a public relations (PR) professional? Will you be your own distributor? What advertising will give you the best return on investment (ROI)? How much will shipping cost? Will you pay for that or ask buyers to pay? Will you sell through bookstores? Other retail outlets? At flea markets? At workshops? Online? As an aside, I completely changed the size of my picture alphabet book because of what I learned about shipping costs. I felt sick to my stomach at giving up my dream book, and I had to pay for layout twice, but that was SO much better than having no sales at all because of high shipping costs. You will have your own idea of success in terms of copies sold or distributed. If you are selling a book with a very small market and you are happy with that, great! Just know going in how you will measure success as a self-publishing writer.